The Independent Automotive Aftermarket Federation (IAAF) is teaming up with fleet software and tracking specialist FleetCheck to help members ensure they are operating a compliant and legal fleet. 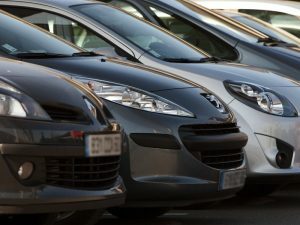 Aimed at fleets of all sizes running cars, LCVs and HGVs, the FleetCheck portfolio offers a range of services, including online fleet management software, a choice of software packages to suit specific fleet sizes and a combination of vehicle types and integration options such as telematics, fuel cards, leasing and accident data. The company also offers telematics solutions to fit specific tracking and driver management requirement alongside fuel management tools. Under the IAAF partnership, FleetCheck is providing members with an exclusive deal, offering free set-up worth £20 per vehicle. Wendy Williamson, IAAF chief executive, said: “The benefits of using FleetCheck’s management system are evident and we strongly encourage all relevant members to take advantage of this exclusive offer.